In the last month, we’ve explored different ways you can deeply connect with nature–beginning with the overall framework, discussing nature wisdom, nature enagement, and nature reciprocity–we wrap up this series this week by considering the final piece of the framework: nature reverence. Nature reverence is certainly one of the underlying values that people who practice this path share–and a value that is shared more broadly with those engaged in other kinds of nature-oriented practice. This could include anything from herbalism, permaculture, organic farming, wilderness enthusiasts, backpackers, wild food foragers, bushcraft specialists, hikers, etc. Communing with the living earth. If there is one thing that is true of the history of Western Civilization, it has been the disregard through which it has shown just about everything: peoples, cultures, and the living earth. It is this disregard and the cultural values of profit and progress that have led to such disregard for the earth and her diverse peoples. Another problematic western cultural value is individualism–in westernized society, particularly in American society, we are primed to think of ourselves first, and ourselves as individuals with autnomy, disconnected from a larger system. Geert Hosfede demonstrated this through his “cultural values” where he explored the different ways that cultural values impacted organizations, particularly those doing business internationally. This individualism manifests as a kind of socialization that encourages us to think of ourselves first: what can I do that best benefits me? Any kind of connection to nature is rooted, first and foremost, in respect. Without respect, we cannot have reverence. I believe that part of nature respect is working to re-socialize ourselves and re-orient ourselves to also ask the basic question, “what can I do that best benefits nature/the land?” as a primary category in our minds as opposed to “what benefts me?” I believe that shifting the mind and heart can shift action in the world; and so, if we can bring ourselves into a place of reverence internally, that will help us make decisions on a daily basis that brings that reverence into practice. Nature Wisdom, Engagement, and Reciprocity: How can we accomplish achieving this deep respect of nature? Time, effort and engagement, are three ways that come to mind. Part of respect comes with interaction and time; the more time we invest in connecting with nature, the more our respect will grow for it. Further, by engaging in connection with nature, we learn to value it; the more we value it and the more we engage, the more we are able to shift our internal socialization and build more rich connections with the earth. In other words, all of these pieces of the framework that I’ve shared work together, ultimately, to build reverence for the living earth. Practicing any part of the framework can help lead to reverence. Reframing Nature: Another activity that can be helpful here is reconsidering aspects of nature that you don’t like. For example, I have always had bad outbreaks of poison ivy, and never wanted much to do with the plant. 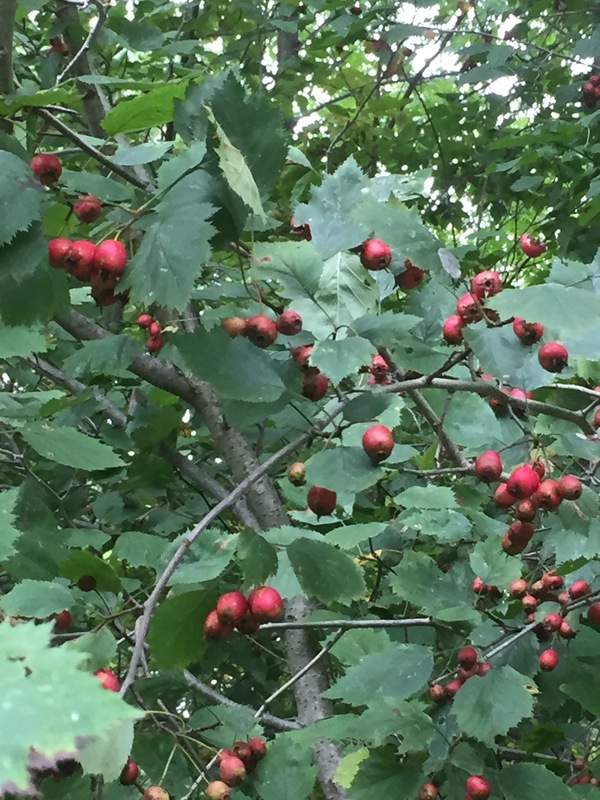 In the process of studying herbalism with Jim McDonald, however, he helped open up my eyes to what poison ivy does on a landscape–how it protects wild places, how it teaches us awareness. I did even more research on poison ivy after that and discovered its role in responding to climate change and higher levels of carbon in the atmosphere. By learning about poison ivy, and sitting near her (and yes, contining to be covered with her all summer long) I learned to respect her. And in this respect, cultivate an entirely new relationship with her, one that is rooted in respect and reverence rather than disregard. This is to say, take something you may not be as comfortable with and learn about it, let it teach you and guide you, and over time, develop a respectful relationship. I think in a second example, when my beehives were destroyed by a bear and my chickens were eaten by hawks, it taught me about honoring the predators. Learning Anew: Finally, a third activity is to learn about something you have no idea about: the life cycle of an insect, observing the slow opening of a flower, and so on. New experiences and new exposure can lead you to a place of respect and awe. For example, a few years ago I took up the study of sacred geometry, and began learning about the way in which geometry unfolded in the world (and in my own body) such as through the golden spiral, the pentagram, and more. One day I was walking and saw some brambles that had been cut (blackberry), and there, both in each flower and in each stalk, was the pentacle reflected. 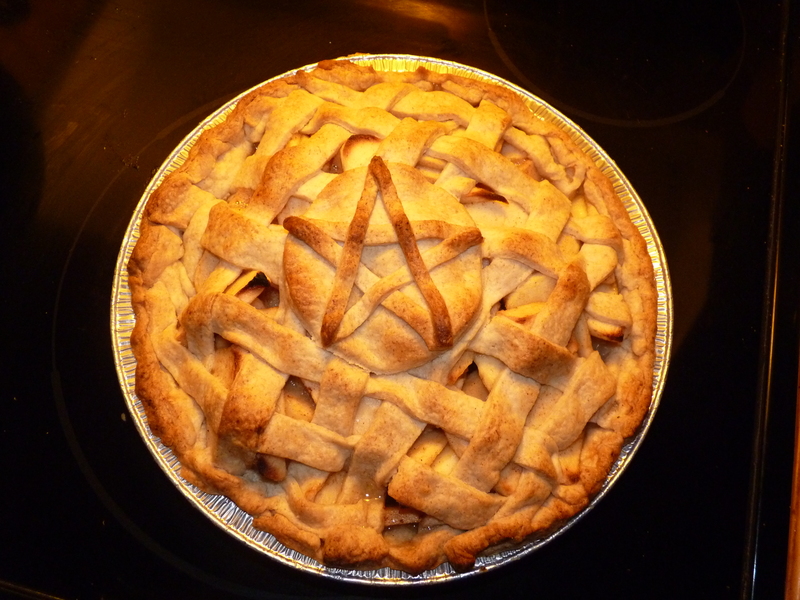 Since then, I see the pentacle everywhere, and it reminds me of the sacredness of life. While respecting nature is primarly mindset you adopt through experience, honoring nature is an activity. I wrote a bit last week about offerings, and rituals as a kind of offering, and I’d like to continue that discussion here today. If we think about the way we honor humans–say, soldiers, guests, or digintaries, we may offer gifts (offerings), set aside special spaces for them (statuary, memorials, etc), hold special dinners or other kinds of celebrations in their honor. I believe that honoring nature in this way is no different–its not even *how* you do that is important, its simply the practice of doing it. The “how” part of the equation can be tied to a particular tradition (and I’ll share ideas rooted in the druid revival tradition), but as long as it is giving back, and not taking (see recprocity post), it will likely be appriciated by the land and her spirits. (And yes, I take a very animistic approach to druidry, so these suggestions are also rooted in that perspective). 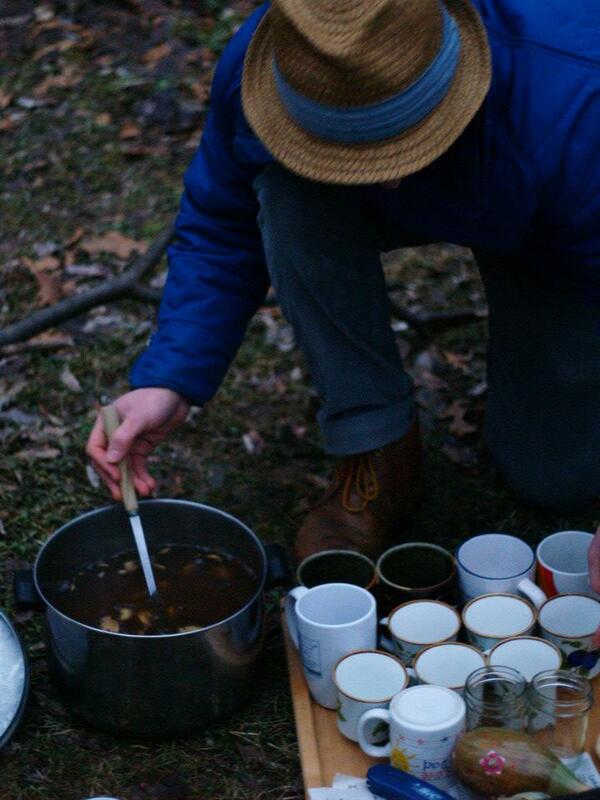 Honoring Through Ritual: One way to honor the land is through regular rituals. From a certain perspective, every seasonal celebration that uses the wheel of the year, the wheel of the sun (solstices, equinoxes, cross quarter days) and lunar events (like full moon meditations) is honoring the passing of the time, which is inherently honoring nature. 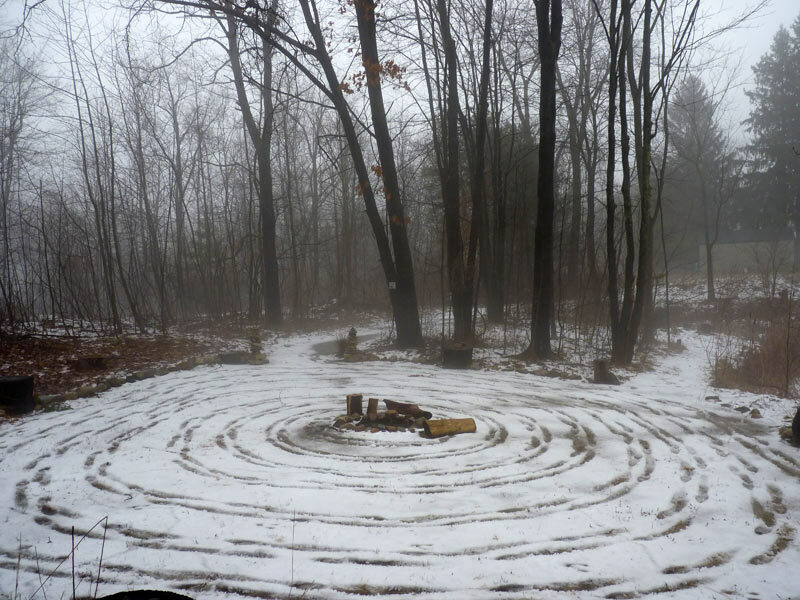 We can do more specific things to honor nature as well, including developing local seasonal celebrations and observances (the first snowfall, etc) or land healing rituals (such as this one we did at MAGUS last year). Shrines and Sacred Spaces. 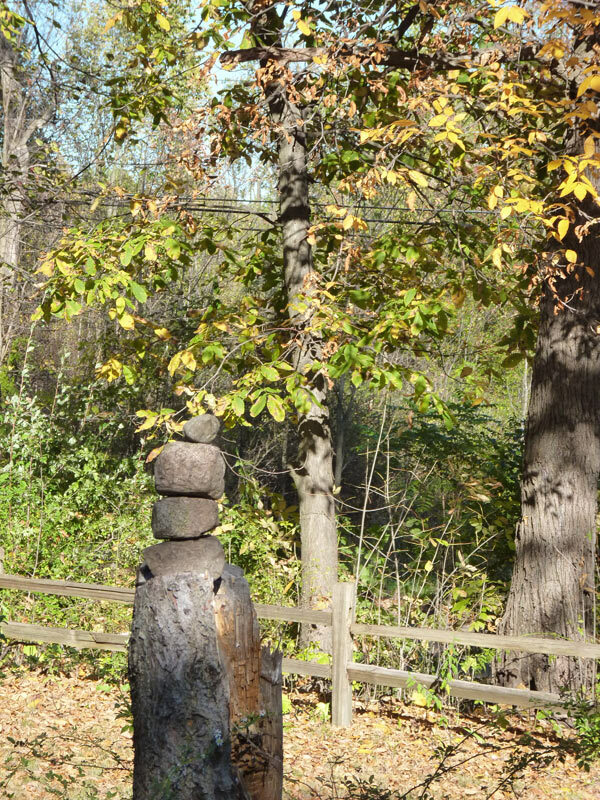 A second way that we can honor nature is through building and tending of shrines and sacred spaces, both indoors and outdoors, to honor specific aspects of nature. Recently, for example, I was doing in-depth work with the spirit of the black elder tree, and as part of that, I created a shrine inside my art studio and also honored the elder by making offerings. Your shrines or sacred spaces might be bee and butterfly gardens, meditation gardens, stone circles, stone cairns, or other shrines. Again, the intent here is what matters–intent and making sure that the shrine is healing and not damaging to the earth or the ecosystem. This is part of why I like using gardens for this kind of work as much as possible. Honoring through Sacred Action: Another way in which we can honor the land directly is by mitigating our impact on the earth. I’ve written a lot about the different ways this can happen here on the Druid’s garden blog: through shifting our lifestyle choices, our eating, planting trees, recycling, composting, walking rather than driving, reducing our energy consumption, and much more. A final way of engaging in nature reverence is through communing with nature. Nature can often facilitate deeply spiritual and sacred experiences for us that help us understand not only the land but our place in it. I consider communing to be on a much different and deeper level than simply observing–communing is an intentional act that sets us apart from our regular lives and tied, instead, to the living earth. Druid Retreat: Doing a druid retreat is a great way to commune with nature and to heal and grow as a human being and spiritual person. Druid retreats can last a day to several weeks or more, depending on your own needs and opportunity. They are quiet times for you to deeply commune with the living earth, focus on your own spirituality, and attend to your relationship with the living earth. More on druid retreats in my two-part series: part 1 and part 2. Vision Questing / Ritual in Nature. Different traditions do longer rituals in nature differently, and so you might look to your tradition or intuition for ideas. I did a 48 hour vision quest with a group practicing the Sweet Medicine Sundance tradition and it was an incredible experience that was well facilitated and offered me much insight–even six years later, the experience continues to resonate within me. Other opportunites I’ve seen have been initiation or coming of age ceremonies where individuals are sent off into the woods for an evening; or women’s circles that drum into the night deep in the woods. If you don’t have an opportunity to do this with an existing group, consider your own “ritual in nature” over a period of hours or days (and see some of my suggestions for the druid’s retreat, above). Quiet Moments in Nature: Taking quiet moments in nature is another simple way to commune. 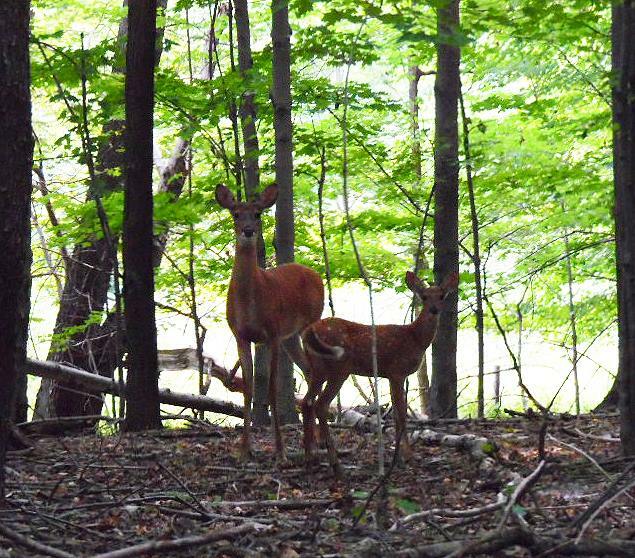 Spend a moment watching the passing of a herd of deer, watch the flow of a quiet stream, observe a busy flowering bush full of insects, or to watch the rustle of the leaves in the trees. These quiet moments need to be only a few minutes, but they will allow you to slow down, breathe, and deeply connect with the living earth. The Druid’s Anchor Spot: Another technique I detailed earlier on this blog is what I call the “druid’s anchor spot”; this is a place where you go, daily if possible, but certainly regularly, to commune with nature. You can simply observe the passing of the seasons, the ways in which the space changes over time and in different weather. You might create a shrine there or do other kinds of ritual activities. It is simply a space for you to be. Nature reverence is as much a mindset as it is an activity; the deeper we are able to go into our spiritual practice, I believe, the deeper our connection with the living earth is. This certainly isn’t an exhaustive list of the ways that you might practice nature reverence–if any of my readers have additional suggestions or ideas, I would absolutely love to hear them. Thank you for joining me on this month-long journey into connecting deeply with the living earth! Stack of some of my journals…. 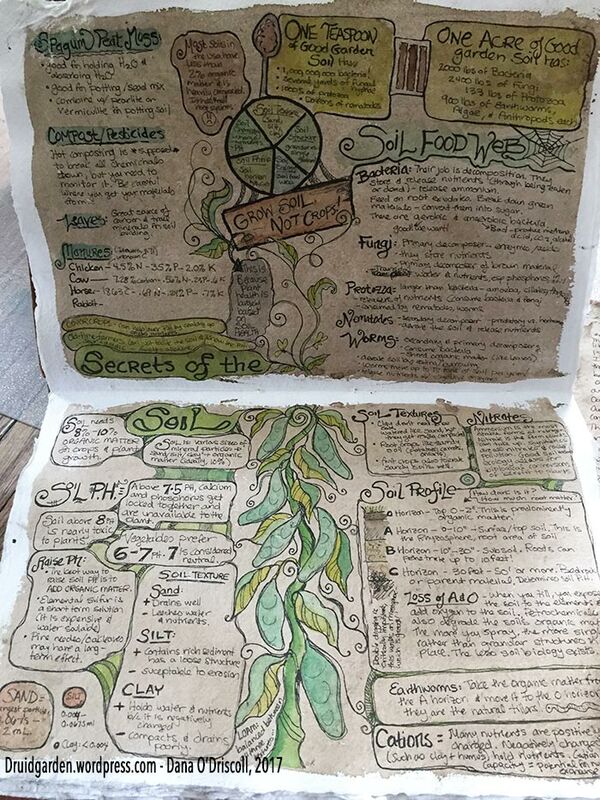 Recently, I took some time to go back through the many spiritual journals I have kept on my journey deeper into the mysteries of the druid tradition and my relationship with nature. These journals spanned over a decade. They included a bit of everything: garden interactions, meditations, nature observations, events in my life of deep spiritual significance, recipes, notes from gatherings and visits, stories, experiences with rituals, and much more. I am so grateful to have kept these journals and re-reading them allowed me to rediscover so many pieces about that journey. They allowed me to see not only my own growth over time, but reminded me of important events and encouraged me further on my path. Journaling and writing down one’s journey doesn’t come easy for many, and I, too, have to work at it! 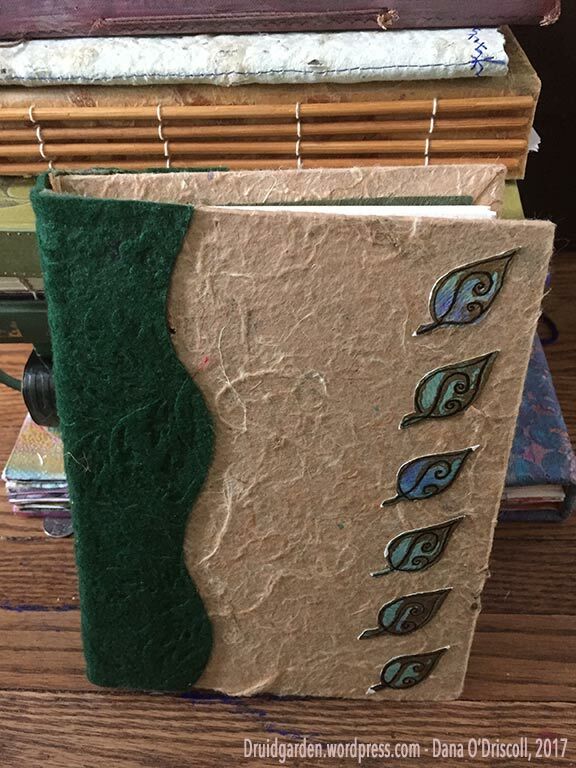 Further, in working with those new to the druid path through my work as an Archdruid with the AODA, I’ve come to realize that many folks don’t know how to keep a spiritual journal nor what it can be used for or why they should do it. In my professional work as a writing professor, I know how difficult it is for some people to write anything because they lack the tools, motivation, or inspiration to do so. 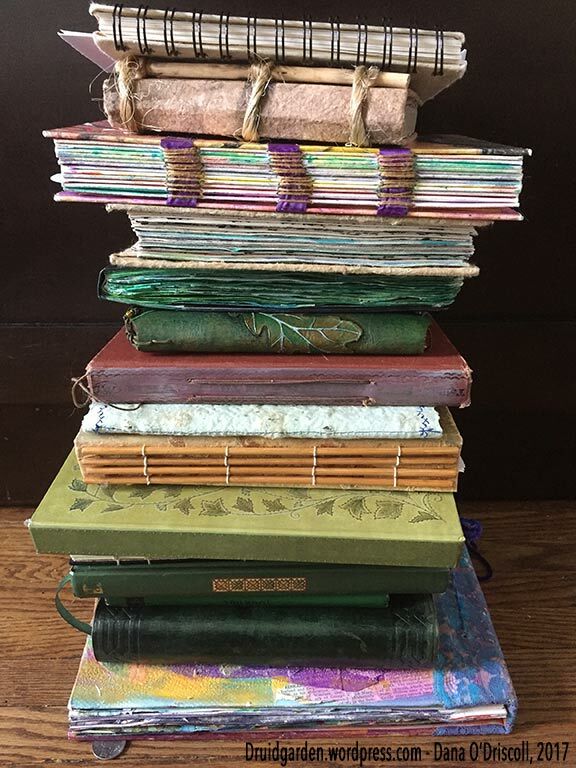 So, given this, I thought I’d take the time today to write about spiritual journals, why we keep them, and tips and strategies for keeping them (and keeping them well). Why keep a spiritual journal? When you are engaging in a spiritual practice of any kind, it is really helpful to document that practice. So let’s start by exploring the reasons why you would want to keep a spiritual journal. The difference between sacred spaces and mundane spaces. One of the aspects of spiritual practices is that we are in a different head space for the duration of those practices than we are in the regular world. This is true not only of meditation and rituals but also of visits to natural places. We may gain deep insights or have moments of clarity and awakening and retaining those insights are critical for our development. If we don’t write them down, we are very apt to lose them. I have found that in order to “not lose anything,” I have to write down my experiences in ritual or meditation immediately after they happen (often, I will write in my journal before I even close a sacred grove in ritual or before I leave the forest). This allows me to write about these experiences while they are fresh and in the forefront of my head. If I put off writing down my experiences, the longer that time goes by, the less I will remember and remember accurately–especially because visits to wild places and rituals alter our consciousness. Inaccuracy of memory. Our memories are imperfect instruments and we can forget many things. If we write our experiences and understandings down (or use one of the other methods I share here), we offer our future selves a record of those experiences, which is a powerful spiritual tool. Trying to keep everything in our heads is a sure way to lose some of the critically important details or insights we gain as part of our spiritual practices. To illustrate this, I’ll share a story here. I was out foraging for the day by myself, and I ended up in a really brushy area that required me to slog my way through about a two-acre bramble and brush patch. During this experience, I was in a deep meditative space. I had a critical number of keen insights about nature–all in a row (it must have been the stars aligning). 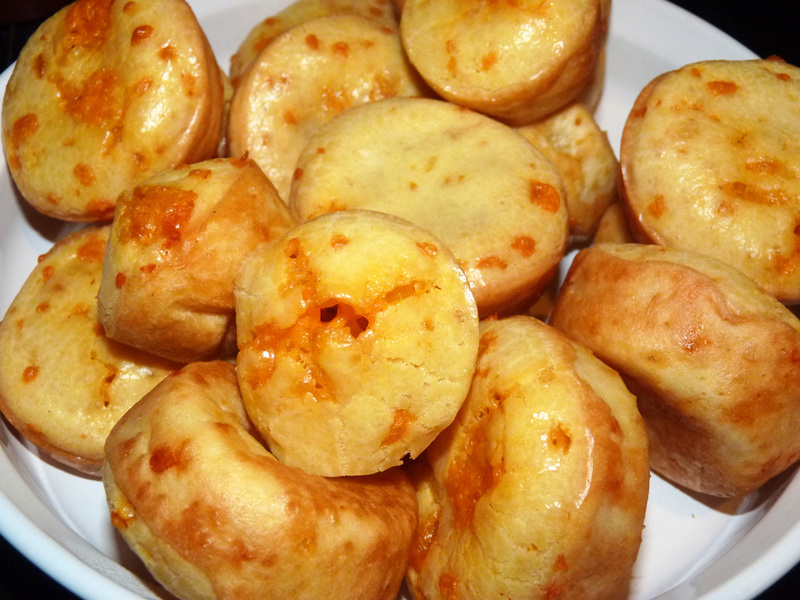 The problem is, I had too many at once! (One of those keen insights about nature became my earlier discussion of weedtending, weedwalking, and weedcrafting while a second became my discussion of first-aid responder plants). I had recently lost my small journal I usually carried in my crane bag (to a river–it carried it away! ), so I didn’t have anything to write down my insights on that particular day. And so, lacking any other means, I tried to commit as many as I could to memory. When I finally got back later that evening, all had escaped except the insights on the two posts I included above. Try and meditate as I might, I could not find the other insights anywhere in my brain–they were left in the bramble patch! Keeping a Record. Documenting your practices and experiences through journals offers your future self a record about what you are feeling, experiencing, and the things you are engaging with at that particular point in time. This is a wonderful tool for tracking and understanding your own spiritual development. I love going back and reading my old journals and seeing just how far I have come! It’s also helpful to look at the journals and get a sense of what I was struggling with then, what I’m still struggling with, and what new things have come up. Focusing, Expanding, and Reflection on Your Thoughts. Journaling is not just a process of writing down exactly what happened or what the insights were, but it’s also a powerful tool and opportunity to ponder or sit with those experiences further. And so, we gain a double benefit from this work. Reflecting on experiences that just happened allows you another way, which I see as another form of meditation, into those experiences. First, I have found often that after I finish a physical journey, spiritual journey, meditation, ritual, or whatever, writing down what has happened and my thoughts and insights about what has happened allows me to further shape and expand those thoughts (and actually, this is why I got into blogging!) Part of it is that you are not just getting the initial insight, but taking the time to think about it deeper and focus on it through the journaling experience. This helps the insights and experiences come into sharper focus. Second, reflection also allows us to slow down and think about what we experienced, synth sizing our experiences and our own understandings. We can pick things apart, turn them around, wonder about them, and really gain the ability to see them from multiple angles there in our journal. It might be that this kind of work needs to happen over a longer period of time than one entry, and that is perfectly acceptable as well. I’ll also mention here that research in writing studies strongly supports both of the above–we learn through writing and we gain much from reflection! Documenting regular practices. 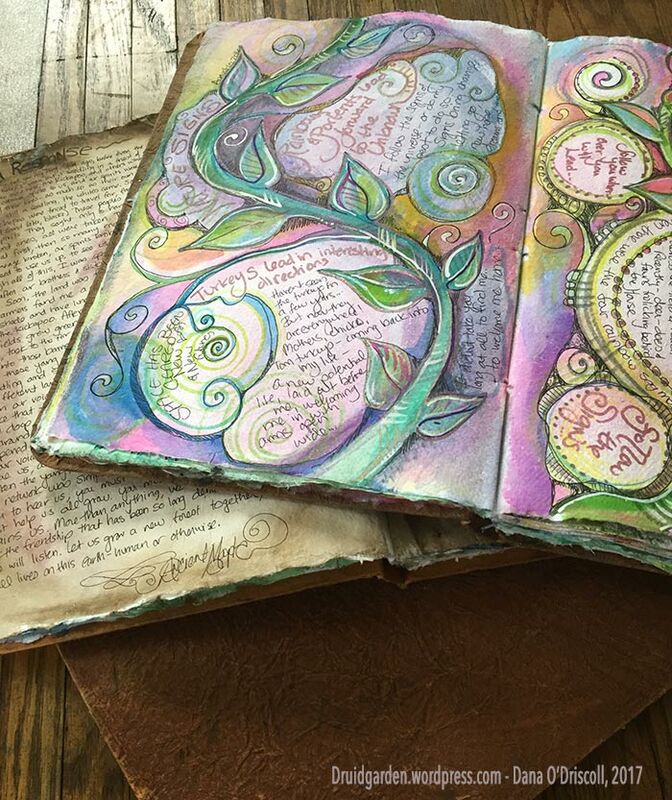 In many of the esoteric traditions, keeping a “magical journal” is a required practice. It’s very helpful to document regular practices and their effects, especially over time. For example, each day I do the AODA’s Sphere of Protection ritual. In the years I was really learning it, I wrote down daily what happened. Now that my practice has stabilized, I no longer find it necessary to write down each day’s sphere unless something out of the ordinary happens during the sphere; but I still find myself writing about it regularly. I do write about my regular meditations, and that’s part of my habitual journal practice. Salient, important things. I once spoke with a woman who told me she was spending more time writing in her journals than in her spiritual practices and was frustrated with the length of time it took to journal. I inquired further and discovered that she was writing down literally everything she was doing. While this certainly is an approach that you can take to spiritual journaling, I’m not sure its one I’d advocate. You’d spend more time, as she did, writing than actually engaging in your spiritual practices! Instead, what I advocate is writing down things of meaning, of salience, and of significance. In other words, I don’t write down every little thing (“I drove to the park”) but I do generally document what I did, what happened, and what I thought about it (“in my walk in the woods, this struck me because of…”). Ideas, Plans, and Goals. I have found it useful to write about goals, ideas, and plans. If you write goals, check in on them regularly and see how you are progressing with them (a simple goal might be to develop a regular daily protective practice, or to spend more time in nature, or to observe the full and new moons in some way). Reflections over time. At the end of the journal, when I have only 10-20 or so pages left, I find it really useful to go back through the journal and record any patterns in my thinking, any changes, anything that sticks out of significance to me. It may take me a year or more to fill a journal, but is a very good practice and then helps me “launch” the next journal with a vision and goals in mind. Photos, drawings, plant matter, and memorabilia. You don’t have to be limited to words alone–consider adding drawings, photos, plant matter, and other memorabilia. Especially when you are starting out, the finding or making the right journal is really important. There’s something about opening up a fine journal, one that you are attracted to, and writing in it. It’s nice to see it sitting on our shelf, nice to hold and cherish. Your journal might be something you make or something you buy. (I can write a post on bookbinding and spiritual journal making if there is interest. Let me know!) You may also find that you may develop certain preferences (thickness of paper, lined or unlined, etc). I think that there is something special about keeping a physical journal and I would strongly recommend you keep your journal physically. For one, if you are taking it into nature and into sacred spaces with you, the last thing you want is an electronic device in those spaces. The screens have a way of pulling you away and into them rather into the space. If the purpose of the journal is to record words, I would suggest using old-fashioned methods. On the outside: If you are going to go with a purchased journal, You want a journal that lays flat, that is enjoyable to write in, and that is well constructed. One place to look is on Etsy and similar places and seeing if you can purchase a nice journal that was handmade with care and love. You’ll support an artist and also have a wonderful journal. 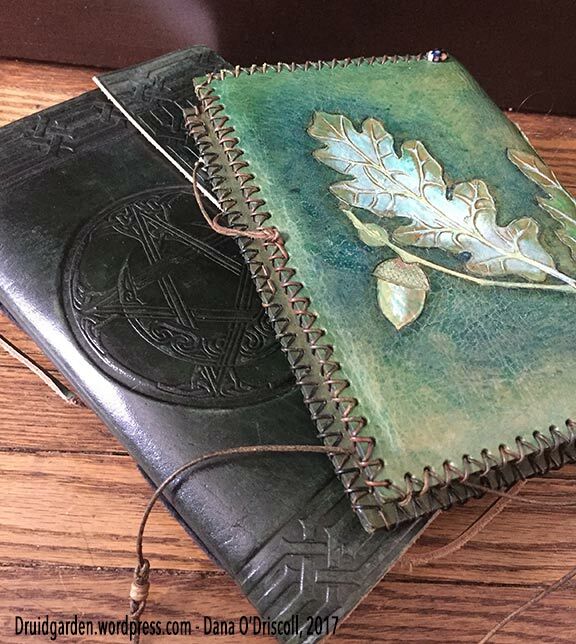 Some journal makers (especially those working in leather) can make a journal cover that you can then replace the insides. This means that you could buy one journal + cover, and then when you are done, put the cover on a new journal and keep going, placing the old journal on your shelf. This is a nice option and represents a limited investment. On the Inside: One of my very early spiritual journals was a simple affair, but homemade. I began by purchasing some hot press, low quality watercolor paper and folding them in half, making signatures. I bound the journal using a Coptic stitch technique with two boards. Then, in each of the pages, I did a simple watercolor wash. The watercolor pages dried and then, when I opened the journal, I had a variety of colorful surfaces on which to write. 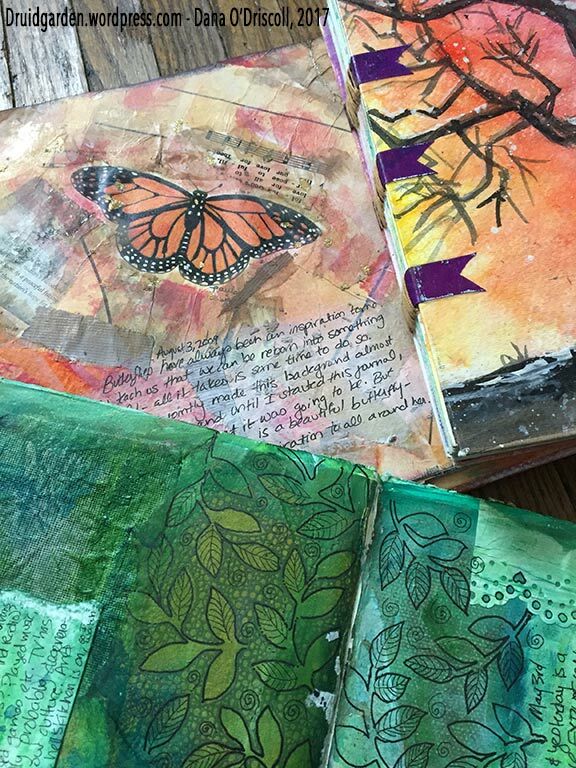 You can do the same thing with cheap watercolors and any journal designed for multiple media or mixed media (these are readily available in arts and craft stores). These kinds of journals will be thicker and contain less pages, but will be sturdy and wonderful for colorful washes and bold printing. Mixed media is anothe option. Mixed media refers to any two media that are not traditionally put together (so photographs and drawing), and this is a wonderful way of expressing more than just words. For example, perhaps you want to sketch, find an image, imprint a leaf, take a photo, and so on. Any of these can be readily incorporated into your journal. Sometimes, a picture helps capture the event or experience in ways that words cannot. Meditation journal. For regular meditation practices (especially if you are using discursive meditation and/or spirit journeying as meditation). Nature journal. For experiences in observing outdoors (taken when you go outdoors, do nature observations, hike, etc). This journal can be small (a small Moleskine (SP)) journal works well for this purpose. You might want to keep it in a small plastic bag to protect it from the elements. Gardening journal. Keep track of your gardening adventures! Seasonal celebration journal. A journal that documents your seasonal celebrations and merriment. Work with spirits journal. A journal that documents inner journeys and connections to the spirit realm. Or you might keep just one journal and use it for everything! There is no right or wrong way to journal. One of the most tricky things for people starting out is to get in the habit of journaling. Here are a few tips and suggestions. Perfectionism doesn’t matter. You do not need to have proper grammar, full sentences, correct punctuation, or even really legible handwriting in your journal. This journal is for you and you alone, so as long as you can read it, that is what matters. Stream of consciousness writing can work. Many people write journals in long paragraphs or entries that are in the style of “stream of consciousness”; that is, they write what immediately comes up in their minds. You might see this similar to how some forms of meditation work—thinking about an idea and seeing where it goes. In the case of your journal, I think the most important thing is to get the information down that you want to get down, and it doesn’t have to be a literary masterpiece. If writing doesn’t work, audio record (and transcribe). Some people find that when they sit down to write they have difficulty putting any words down on paper. They stare at blank page. If you fall into this category, one suggestion I have is to use a small recorder and record your thoughts in audio format (like you are talking to a friend or to yourself) and then, later, transcribe those words into your journal. This adds a step, but it might be good to help you get going. Keeping a journal is about habituating practice. One of the other challenging things to do for new journal keepers is just to get in the habit of regular writing. Above, I suggested writing as soon as you are finished with a practice or experience that you want to document. I also would suggest that if you aren’t doing anything else, setting aside a time to journal once a week is a good way to start. Once you have gotten in the habit of journaling, it will become easier to do. Start taking your journal with you anywhere you go–on a trip, out into the woods, into your sacred space–and then work to use it! I hope this post was helpful to those who are interested in starting a spiritual journal or in kicking their own journaling into a higher gear. After a period of years, I can say with certainty that this practice has really helped me deepen my own awareness, my focus, and helped me progress along my spiritual path. As an aside, I will be taking a few weeks off from blogging while I do some travel and get our big garden in for the year! I’ll return in late May with additional posts on my permaculture for druids series, information on the bardic arts, and so much more! Blessings on this Beltaine! One of the challenges that North American druids face is understanding, visiting, and working with sacred sites. In my druid training, one order in particular really emphasizes the sacred site–the Order of Bards, Ovates and Druids (OBOD). And I think if one is living on the British Isles, it makes perfect sense to do so as those sites are part of the heritage and tradition of druidry. The real question becomes–what is a sacred site here in the USA? What, if anything, should we do with them? I’d like to take some time today to explore “sacred sites” as they relate specifically to druidry in the USA. The term “sacred” itself implies a connection to the divine, a concentrated or holy space, a space set aside for spiritual contemplation or religious observance in some way. When most think about what a classic definition of a “sacred site” is, especially in the context of modern Druidry, we often think about ancient sites. These ancient sites might be natural wonders and places that were the site of ceremony and reverence for a long time. These ancient sites may also have been built or adapted by humans in ages past, and continue to be revered and visited today. These sites, even today, fill us with wonder and awe, encouraging stillness and providing one with a spiritual or magical experience. This isn’t the only kind of sacred site, but I think its the most prevalent definition. I should also mention that the sacred is not limited to sites; it can also refer to events and objects. I recently had the pleasure of witnessing the most amazing dance of the mayflies on Lake Erie in June. A sacred event, indeed! But the subject of this post is investigating the idea of a sacred site in America. When we think about the “ancient site” approach to sacred sites in the USA, several challenges present themselves. #1: Native American Sacred Sites, Desecration and Cultural Appropriation. Most ancient sacred sites in the Americas are Native American in origin. Because most of us do not carry the blood of the native peoples, nor live within their communities, the issue of cultural appropriation is a serious one. Even for those of us who carry a small amount of Native American blood, but have grown up divorced from native culture (like myself), the idea of appropriating sacred sites is uncomfortable at best. Even worse, with the long history of abuse, eradication, and genocide between the mostly white US government and the native peoples, appropriating any other culture’s site for spiritual use is, in nearly all cases, unethical. The longstanding destruction of native sacred sites is also a noted concern. For example, in the Great Lakes region, I’ve visited Native American “sacred sites” that have suffered substantial abuses–White Rock, located about 30 miles north of Port Huron on the coast of Lake Huron, and Inscription Rock, located on Kellys Island in Lake Erie. White Rock in particular is worth noting, because it was a sacred rock to the native peoples of these lands, and it was desecrated repeatedly through the centuries. The most recent desecration was that it was used as a bombing target by the US government during WWII. Inscription rock, which once featured various pictures inscribed into limestone, was “reinscribed” by tourists for over a century and a half. In both cases, what was once a sacred site of the native peoples of this land has been degraded by those who came after. The energies of these sites are not conducive to spiritual work–what I’ve done at both of these sites, when visiting, is to offer apology and ask if there is any work to be done. At White Rock, there was and continues to be substantial work to be done (and those who are interested about that can read more in the AODA’s recent release of Trilithon: The Journal of the Ancient Order of Druids in America). For these kinds of sites, I think that apologizing, picking up garbage, and asking if there is any work to be done is about the only thing most of us should be doing at these sites. #2 – Sacred Sites and Tourist Attractions. This brings me to the next issue with the ancient sacred sites and sacred sites of natural wonder and beauty in the USA–tourists. If a sacred site remains intact, especially if it is a site of wonder and natural beauty, more often than not, it is a tourist attraction. I’ll note the difference here between secular tourism to that of a pilgrimage or sacred journey, such as the one discussed in Chaucer’s Canterbury Tales, where pilgrims are traveling and visiting for a spiritual purpose. Tourist energy is not conducive to the sacred and little to no meaningful spiritual work can usually be done in such places. Tourists are there to see, to photograph, to experience a canned and predigested experience on the most superficial level. Combining tourism with the issue of cultural appropriation leaves most sites largely inaccessible for any kind of spiritual or magical work. Not to mention one can’t do any serious work with a droves of tourists milling about. #3: Land and Site “Management” practices. The other issue at most well known sacred sites is the land management practices that govern them are not conducive to spiritual work of any kind, nor can one or one’s group gain privacy at any site. I remember reading a story a few years ago about a group of Native Americans who had lit a sacred fire on a sacred mountain for as long as their history went back. The chief of this group was arrested because they refused to follow US Park service law, which had a recent ruling disallowing fires in that spot. The park service had no sympathy or religious tolerance for the Native Americans; this intolerance and inflexibility largely extends to other groups as well. This kind of thing happens all the time, most of it less public than that story. Because earth-based religions of all kinds are not given equal treatment and respect here, and most of us are still in the closet, so to speak, it becomes even more difficult to have access to a public sacred site for the purposes of a private ritual. This leaves those of us in the US interested in working with sacred sites in a bit of a conundrum–how do we meaningfully and respectfully work with sacred sites, if at all? For this, I have two ideas in mind: seeking unmarked sacred sites, and creating new sacred sites over time. Are there sacred sites that don’t involve human interaction, human tending that we can work? These secret places of wonder and magic worked by other beings? Would they welcome us there even if we were able to find them? Sometimes yes, and sometimes no. A small group of friends (all druids) and I went into a state park that had been largely closed down. The pathways were covered in branches and trees, the roads were washed out even to get to where we were going. And it was one of the most sacred places I had visited in Michigan. Towards the end of our 5 hour hike, we came across a stone circle right in our path, with larger stones for the north and south, and covered with moss. We felt welcome, having been lead by the forest and the winding paths to this place. Entering the circle in reverence and respect, we sat there for some time, feeling the sacred energies of that place. Nobody had been by for a long time, and it was only because we entered in respect, and we asked to enter, that we were able to experience this sacred place and honor it. More recently, my visit to an old growth hemlock grove certainly qualify as a sacred site and experience! When I was visiting Kellys Island in Lake Erie for a family vacation a few weeks ago, an opposite kind of thing occurred. I have never seen so much poison ivy in such a small area–all of the forests were protected by the beautiful poison ivy vine, covering the trees, matting the ground, going right up to the edge of any path. I could sense the tranquility and sacredness of those forests behind the ivy line; the old growth cottonwoods and maples, the mayflies darting about. The poison ivy sent a VERY clear message to anyone able to read the language of the plants–these forests are to be left alone. They spoke loudly, “Do not enter, do not pass, and do not seek sacred experiences within.” Knowing a bit about the history of that island helps understand the protectiveness of the ivy and spirits there. This beautiful island had a long history of industrialization and abuse, where glacial grooves were destroyed by quarries and pristine forests destroyed through logging…and now, the ritzy houses and expensive yachts have mostly moved in (we did find a nice state campground and hiking trails!) No wonder what remains of this unique ecosystem is off limits to human hands. 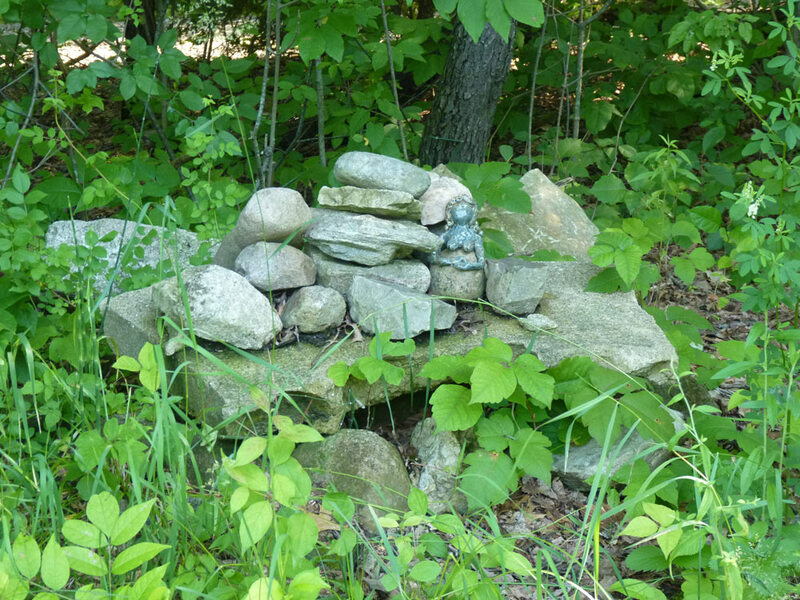 When you come across a naturally occurring sacred site, one that isn’t on the maps, I’ve found its best to let your intuition lead the way, and to read the messages of the plant, animal, and stone kingdoms to know if you are welcome. It might be that you have to establish a relationship over time with a site before the spirits of that site will give you access–listen and be mindful of what you hear. Beyond seeking sacred sites in places not on the map, there is a lot more we can do. I think one of the challenges that we face is that we assume a sacred site should already be there, setup by others or simply in the forest, and ready for our use. Revival druidry is a few centuries old, and while the British druids have done an amazing job in reclaiming sites connected with the ancient sites like Tara, Glastonbury, and Stonehenge, we have no such sites or connection to sites in the US. This brings me to the last key point–that we need to be establishing our OWN sacred sites. Why is a site sacred to begin with? To go back to my earlier definition, its sacred because someone or a group of someones recognize its significance energetically, naturally, and so on, and made it a point to visit it, tend it, and work various kinds of ceremony there. Over a period of time, we can establish these same sacred spaces. I also think its important to set up sacred spaces honoring the land to counter much of the environmental desecration we are seeing more and more. The disruption of the telluric pathways from oil pipelines and fracking, the harm to the planet from GMOs and pesticide use, the list goes on and on. The more of us acting in a sacred manner, living our lives in a sacred manner, and honoring the land with dedicated spaces and work, the more we can demonstrate that not all humans are on that same destructive path and help rebuild a sacred relationship with the land. I know we can work to establish sacred spaces of our own because I’ve done this myself through the work on my land. When I arrived here five years ago, the land was energetically drained, the spirits were angry from the mistreatment of the previous owners, from pollution and garbage, from careless cutting of trees and eradication of plant life, and it took me a long time to shift those energies (you can read more about some of those initial efforts here). 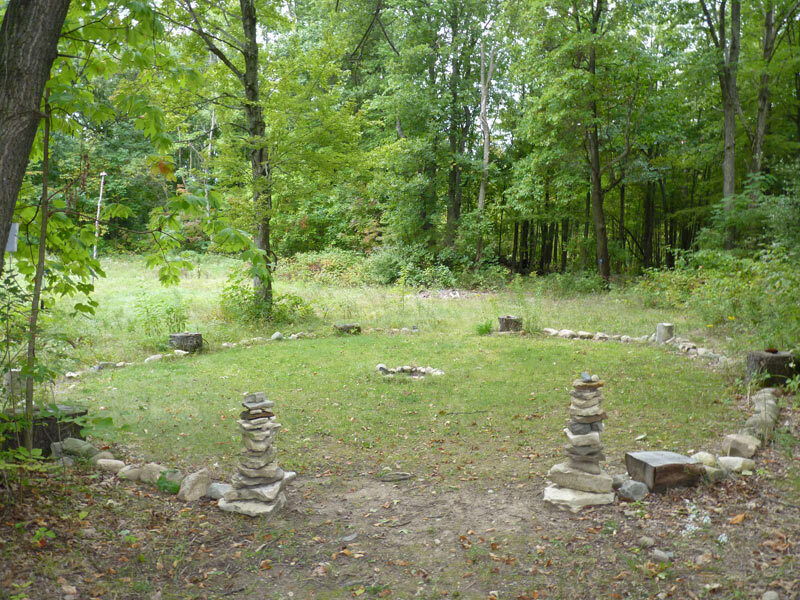 A group of us set up a stone circle and began doing regular ceremonies in this space. 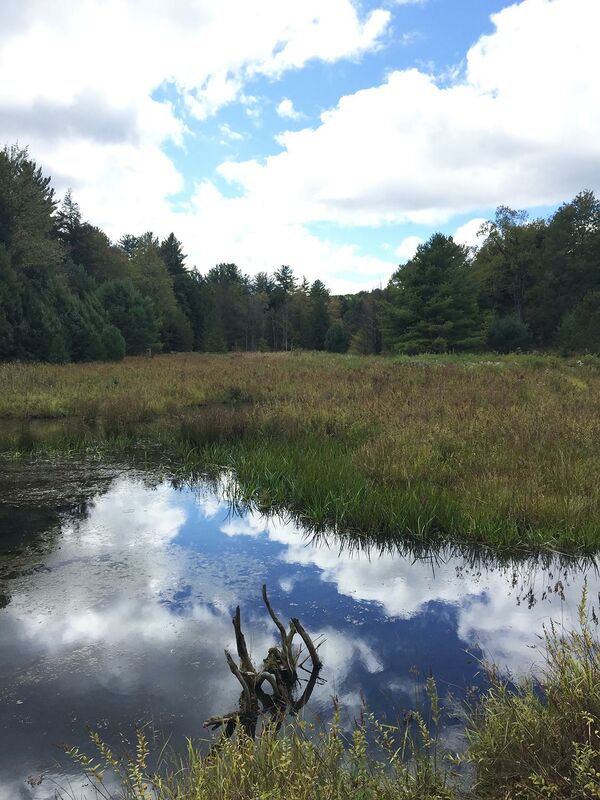 Over the period of five years, the energies of this land dramatically shifted in a positive direction–I’ve now had multiple people come and tell me that they don’t even feel they are still in Michigan when they come up my driveway or go out by the pond to the circle. I think, if anything, the site is in the process of shifting into the sacred, and that shift will take much more time to complete. Regular tending, mindfulness, and ritual all help maintain the space. I’ve posted previously on some things you can do physically to help establish sacred sites here, here, and here. To my physical suggestions, I’ll add a few things on the spiritual side. 1) Listen before you act. If you want to establish a stone circle or other place of meditation/worship/magic, you should ask the spirits of the land and heed their responses. Combine this listening with your own observation and interaction (principle 1 in permaculture design). This listening and observation process can take quite a bit of time, so be patient and understand that this groundwork is an important part of the process. You’ll be glad you’ve done this work–the spirits of the land will guide you to where the site should be and often will give you vision about how to go about creating it. This listening then, can help you create a space for use beyond just the human realm. 2) Use Small, slow actions. To borrow a second principle from permaculture, you can’t establish a sacred space overnight. You need to recognize that sacred spaces and shifting energies take a lot of time. I have found that daily work, such as the AODA’s Sphere of Protection ritual, helps maintain and build energies slowly over time. 3) Do regular rituals honoring the land. I like to combine my daily SOP work with regular group rituals and solo rituals during druid holidays and regular honoring of the land work to establish the space. Honoring the spirits of the land and recognizing the sacredness of the place over time will help shift it. 4) Watch it evolve. The other thing that I’ve found is that once you’ve set your intentions and establish the initial space and begin doing the daily work, the space will evolve. You might see new plants growing, trees appear that weren’t there before, or other kinds of helpful and spirits from the inner planes might make the land their home. After we established this land as a sacred space, I found several hawthorn trees years after I moved in, I found a spiral willow on the island on the pond, and most recently at the Summer solstice, a friend and fellow grove member found foxglove growing behind the sacred circle. Keep a record of what is happening–you will be amazed by the changes over time. 5) Recognize sacred activity and set rules for the space. Protect the sacredness of the space–if you have visitors and guests over, make sure they understand the rules for the space (e.g. no consumption of alcohol in the space for non-ritual purposes, remaining quiet in the space, leaving an offering after use, etc). You’ll find that some well placed signage also helps visitors and/or family respect the space. It may also be that there are certain kinds of people you simply don’t want in that space, and that’s ok too. I hope these thoughts help those of you pondering the idea of a sacred space here in our landscapes and how we might use the idea of sacred space as revival druids in the US. Thank you, as always, for listening!